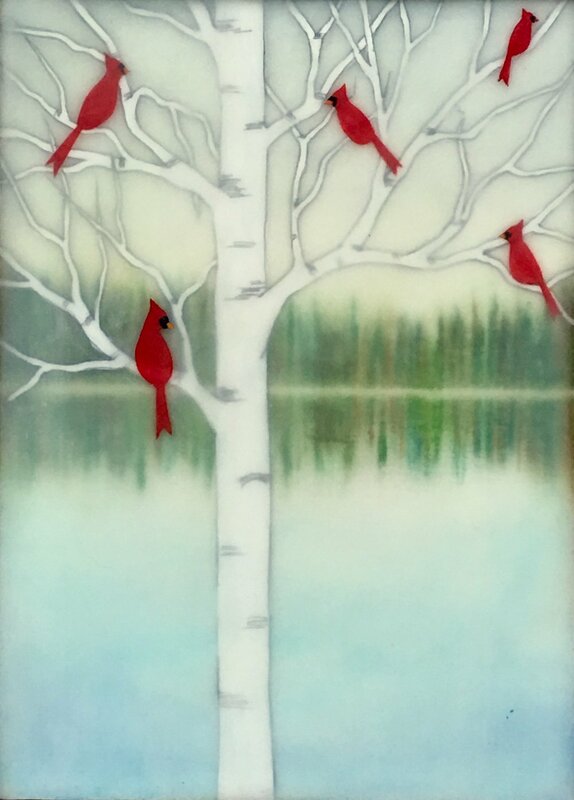 Manitoba, gouache and encaustic on rice paper mounted on board, 12" x 12"
Doe and Fawn, gouache and encaustic on rice paper mounted on board, 12" x 12"
Amy Keller creates mixed media encaustic art and hand printed textiles in her home on the south shore of Massachusetts. 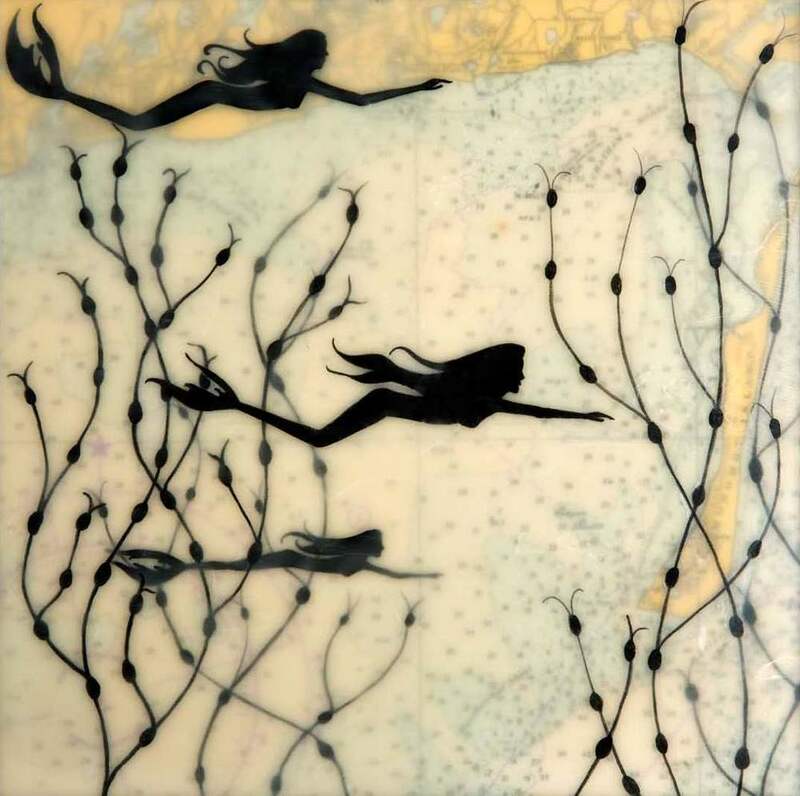 She discovered encaustic after 14 years as part of the commercial photography team Keller and Keller. It was on a photo shoot that she first encountered the medium and set out to teach herself about it. Amy's current work consists of her paper cut drawings collaged in layers of wax. 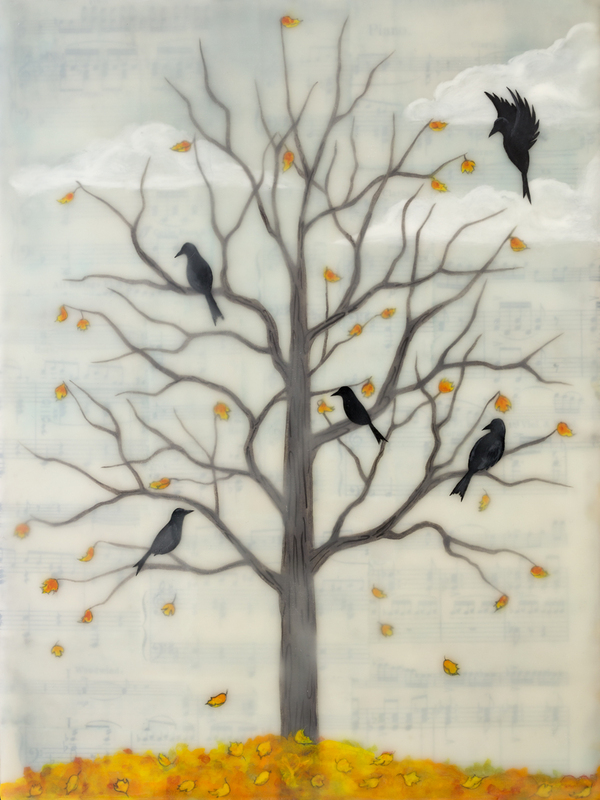 Her pieces accentuate the depth that is characteristic of encaustic. Oil stick, silver leaf, metallic powder and pigments are also incorporated into some of her pieces. Her main influences are her summers on Cape Cod, her two children, vintage maps and books.